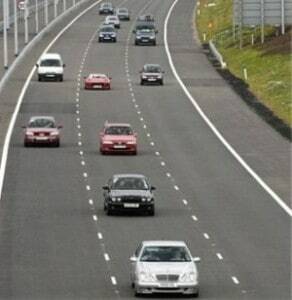 UK motorists have been reminded that the hard shoulder of motorways up and down the country should only be used when it is absolutely essential to do so. Vehicle recovery specialist the AA has published its latest AA-Populus poll of more than 18,000 UK road users, which asked vehicle owners if they had ever ignored this advice and pulled up on hard shoulders when they could conceivably have carried on in their journeys. The results showed that as many as a quarter of respondents (24 per cent) admitted they had done this in the past, while figures from the Department for Transport show that more than 800 people are either killed or injured each year in hard shoulder incidents – highlighting the significant dangers of these actions. Of those who stated they had pulled up due to avoidable circumstances, the most common reasons given for this were individuals needing an unscheduled toilet break (five per cent), travel sickness (five per cent), running out of fuel (four per cent) and reading a map (two per cent). Other excuses included drivers needing a rest, motorists needing to make a non-emergency phone call and problems with a pet/animal being towed in a trailer (all one per cent). AA president Edmund King commented: "Most weeks we have incidents where a member’s car is struck while on the hard shoulder and it seems to be an increasing issue, which is a serious concern. Thankfully most people heed the safety advice and get out of the car and behind the barrier before calling for assistance. "You should only stop if it is a genuine emergency and have no choice – it really is the last resort." He added that the hard shoulder can be one of the most dangerous places anyone can pull up, as active lanes of traffic are just feet away from stationary vehicles and the high speeds associated with motorway driving make any collision far worse than on slower roads.